This book describes thirty walking trails. With detailed maps, GPS data and route photos of outstanding points for better orientation. And lots of interesting facts worth knowing about the islands of Dionysos. 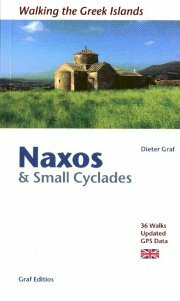 Sixteen selected wander routes through Naxos are described in detail. Maps, sketches and photographs are included. General articles give information concerning the history, mythology, castles and pirgi from the Middle Ages, geology, climate, flora, fauna. both editions (English and German) are out of print (Dec. 2002), but can be downloaded here. 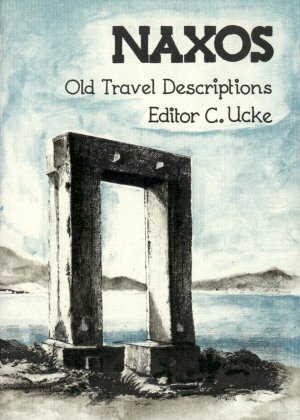 Enjoy old travel descriptions about Naxos from the sixteenth to the nineteenth century. The reproduction of many old engravings and some new photographs supplements the entertaining and informative lecture. both books are out of print, but can be downloaded here. The completest tourist guide about Naxos. Current information about hotels, pensions, camping-sites, restaurants, tavernas, discos, traffic, beaches, walking routes with maps, all important touristic highlights of the island. This book exists only in German! 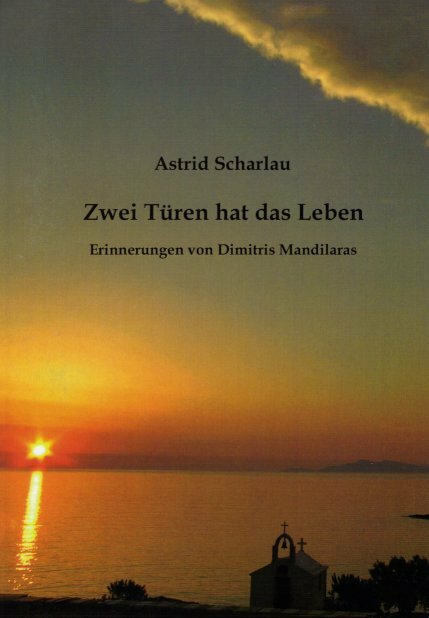 Eine sehr persönliche Lebensbeschreibung von Dimitris Mandilaras aus Koronos in Naxos verbunden mit geschichtlichen und volkskundlichen Ergänzungen zur Entwicklung und zum Leben in Naxos. Für alle interessant, die sich weitergehend mit Hintergrundinformation zu dieser Insel befassen möchten. text in English and Greek! A - walking - guide about the central area of Naxos. Detailed description of walking routes with additional information about geology, climate, vegetation, fauna, byzantine monuments, architecture, life in villages etc. 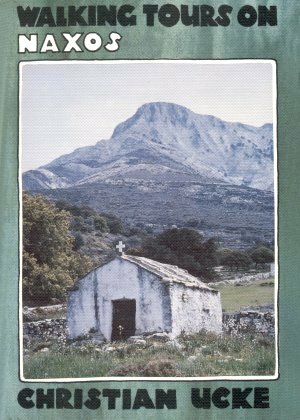 This book exists in English and Greek! Detailed description of the restored olive-press in Damalas. 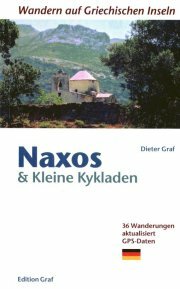 anregende und einfühlsame Beschreibungen von erlebten Situationen auf Naxos. 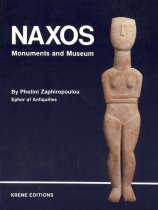 good but very short descriptions of the temples, ancient city, kouri in Naxos.More extensive descriptions of objects in the local museums of Naxos. very good description of traditional Greek architecture on the Island of Naxos. Contains many detailed photographs. excellent description of wallpaintings in byzantine churches in Naxos. Contains many detailed photographs.